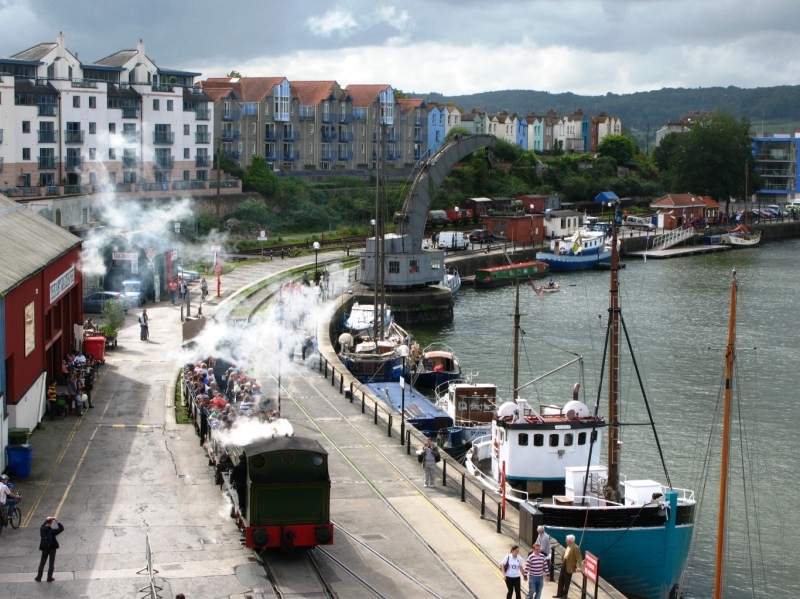 The Bristol Harbour Railway is a heritage railway in Bristol, England operated by Bristol Museums Galleries & Archives. It runs for approximately 1 mile (1.6 km) along the south side of Bristol Harbour, starting at M Shed (the former Bristol Industrial Museum (51.4483°N 2.5969°W﻿ / 51.4483; -2.5969﻿ (Bristol Harbour Railway (Prince Street end)))), stopping at the SS Great Britain, and ending at B Bond Warehouse (home of the Create Centre), one of the large tobacco warehouses beside Cumberland Basin (51.4466°N 2.6213°W﻿ / 51.4466; -2.6213﻿ (Bristol Harbour Railway (Cumberland Basin end))). Please give us your overall rating for Bristol Harbour Railway.